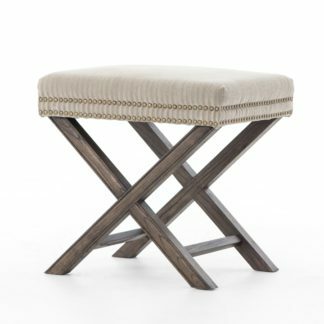 Airy, light, and sized just right. 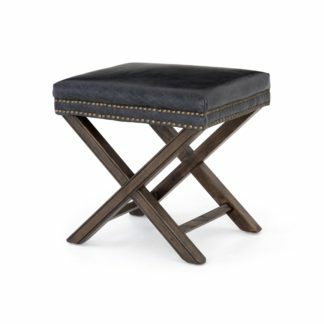 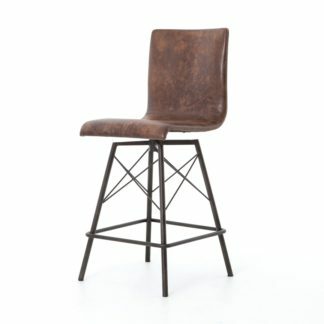 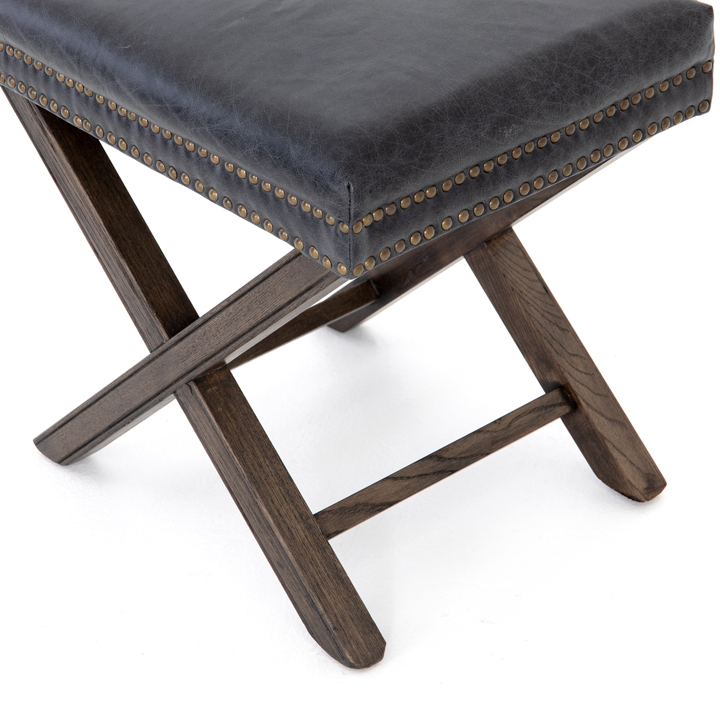 An open, X-framed base is topped in soft, top-grain leather accented by a double row of brass-finished nail heads. 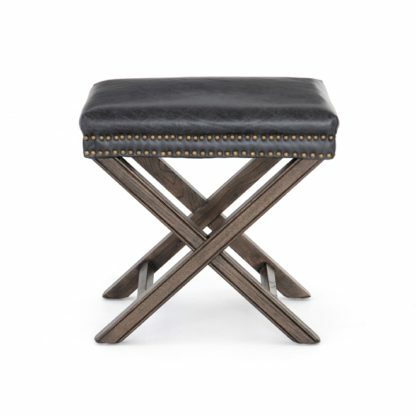 Thoughtful details add character to counter, bar or table. 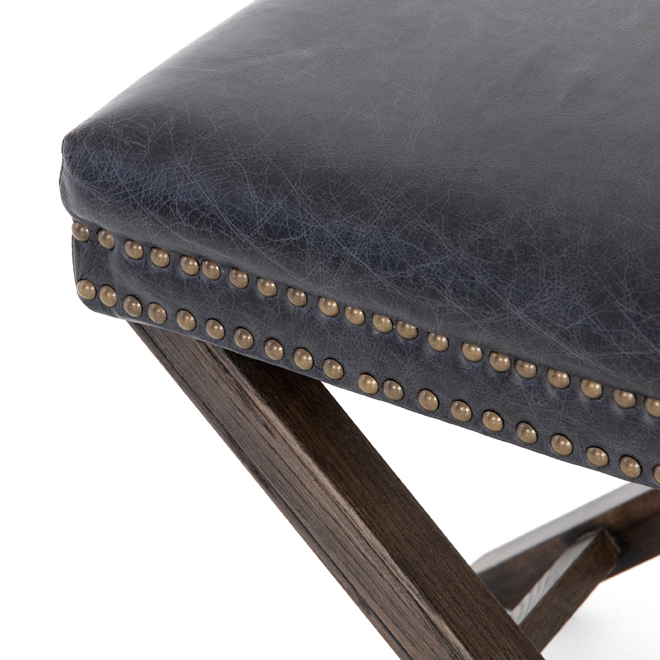 Swivel seating is covered in cotton canvas, linen blends and rich leathers. Dark or weathered gray solid wood frames are characterized by slim tapers, soft splays and curved stretchers.